Wallace Chevrolet > Discounts & Savings > Keep Cool This Summer With Our A/C Repair Specials! Keep Cool This Summer With Our A/C Repair Specials! Summer is in full-swing and temperatures are climbing ever higher, luckily our new special price on air conditioning repair makes it easy to keep cool. Now, at Wallace Chevrolet, you can treat your car to a full air conditioning repair for just $99.95! 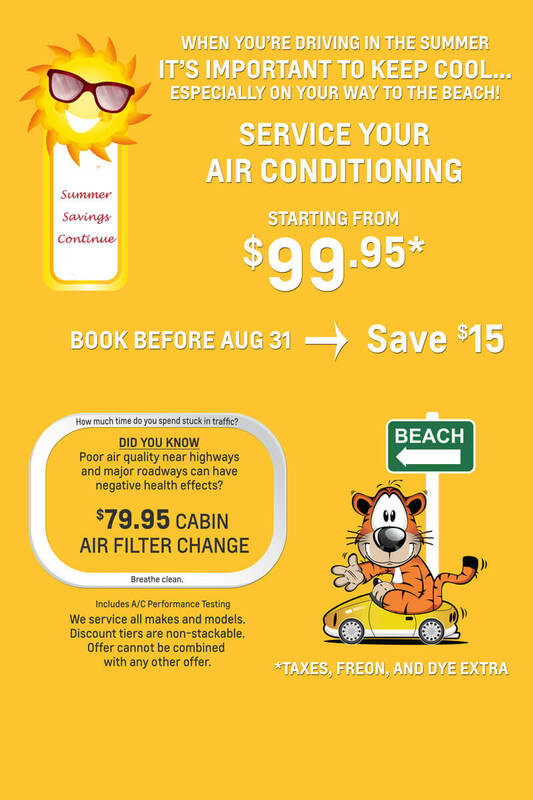 Plus, book an appointment before August 31 and you’ll save an additional $15 on A/C repair! Looking for a cabin air filter change, too? No problem, our technicians will safely remove your old, dirty air filter and replace it with a brand new one, leaving you with a clean, fresh cabin. Book a cabin air filter replacement now for just $79.95! page on our website for all the latest deals, discounts and more at Wallace Chevrolet!